I first came in contact with Eric in the late 80’s/early 90’s when two of his runners came to study at University in Glasgow and he got in touch to ask if they could train with our group. They were good athletes, in very good condition and were a useful addition to the squad. Eric was in touch a lot – there were even phone calls first thing in the morning before I left for work. This was a first – late night calls you get and you expect to get when you are a coach, but first thing in the morning? It hasn’t happened before or since. He was a good coach to work with – information was exchanged in both directions and the athletes benefited because of it. We met subsequently at coaching meetings and at sports meetings all over the country, he produced and worked with many notable athletes and yet surprisingly little is known of the man himself, and he is possibly a bit under-rated because of that. Known as a straight speaking character, I have noticed that in any discussion at a coaching get together, or in any of the athletics forums to which we both contribute, he never comments at the start of the discussion. He usually lets it go on for a bit before coming in with his own comments. Maybe direct and without any circumlocution or equivocation, he listens before he joins in. We should maybe start this profile with his own replies to the questionnaire. 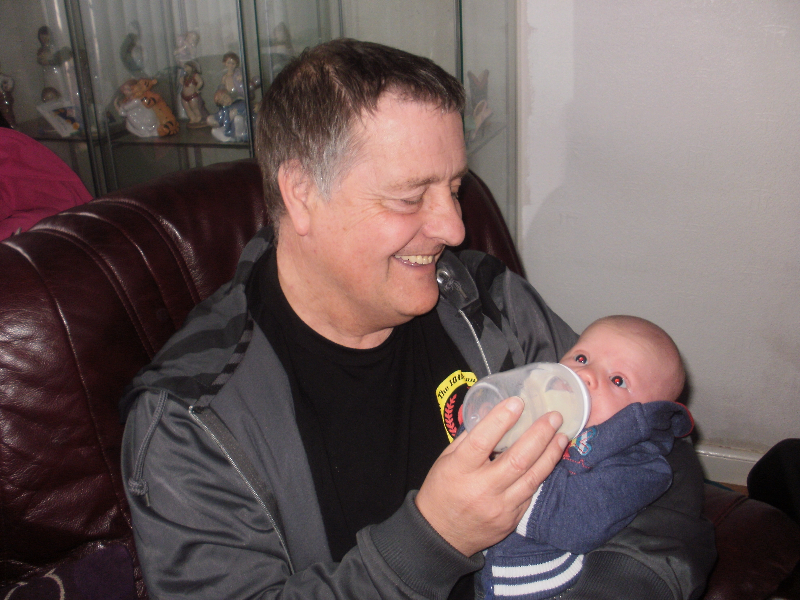 Occupation: Retired Teacher /Headteacher still working on a need to/want to basis. How did you get into the sport initially? I was very good at football at primary school. Went to Secondary and got involved in athletics. Proved to be good at it. Jim Russell(P.E. Teacher ) was the guiding light in school and for many years after. Father took me to a “professional” coach at twelve as I was running with a “bad” crowd and he wanted to turn my energy to something worthwhile. Personal Bests? Never really found out as I was running handicaps all the time. * Jim Bradley very much ahead of his time. who taught me the need for technique. What do you do apart from athletics to relax? Enjoy music of all types, and films escapist stuff usually. What goals do you have that are still unachieved? I have not produced an Olympian yet, though I have produced two Paralympic Champions. Learn from the past, never stop learning ,there is NO EASY WAY to being a champion. Most of the great champions we have produced have been done by “maverick” coaches who have done it their way. The ones who have had the biggest impact on me have all been “one offs”- people who have worked out what the target was and then worked towards it. The most obvious ones today are Tony Hadley and Toni Minichello, both of whom have said no I am doing it my way. How did you get into coaching in the first place? Bill McLellan former staff coach for High Jump and New Year Sprint winner asked me to go down and coach a group of young sprinters one day a week. The club was Fife Institute Athletic Union, which then became Fife Southern Harriers which amalgamated with Fife A.C.
How far did your own running and competition influence your own coaching theory and practice? As mentioned above, I was lucky enough to have three great coaches. Wullie Young, Jimmy Bryce J.B. and Jim Bradley – I hope I have combined the excellence of these three men into what I do now. How did you get involved in coaching at national level? I was “lucky” that I had an athlete in my first 2/3 years of coaching called Shona Urquhart who was invited to squad session at Scotland and G.B. Level with their coaches. She was very good and I was a “sponge” I listened to everyone and learned a great deal. Can you name some of your athletes that we might know about? * Stephen Payton Paralympic Champion Atlanta 1996 Triple Gold 100/200/400 plus two World Records. Multi World Champion. What Scottish, GB, University or school teams have you been involved with? Over the years I have been involved with teams from Schools up to G.B. Senior level. At one point I was involved in G.B. Junior Development Squad ( with Adrian Thomas) and G.B. Senior squad basically before B.A.F went bust. After the sport went professional my services along with other experienced coaches was sidelined . 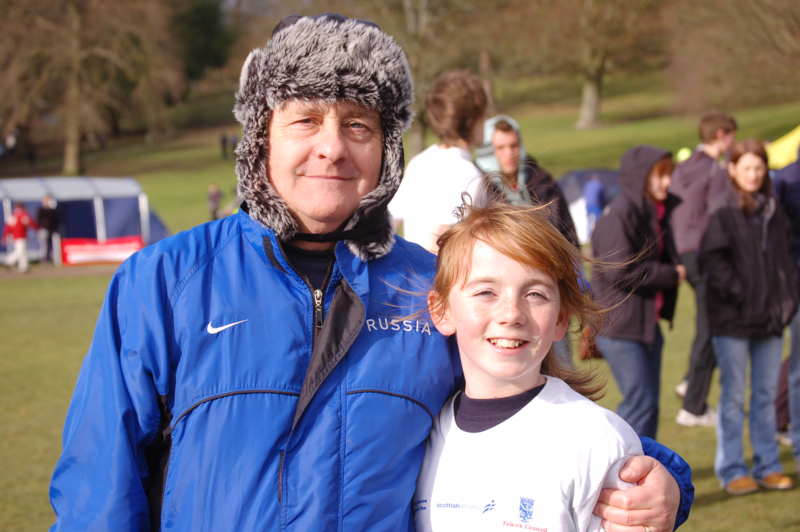 Are there any coaches that you particularly admire – either coaching at present or in the past? I was a young coach in the “golden era “ of British athletics. Coaches such as John Anderson, Bruce Longden, Peter Coe , Mike Smith and Bill Walker all encouraged me to continue to develop as a coach. They were always available to assist and advise me. My three original coaches as an athlete set the foundations for my move into coaching and in many way my overriding philosophy. “John and I first met when I did my Senior Coaches in London a few years ago at least 25 years ago. and from the 1st minute John and I hit it off. From the beginning I loved him because I always felt he was honest , he called it as he saw it, it might not be politically correct but hell great athletes and coaches are not made by being P.C. I always considered John my mentor and if I needed help he would always be there on the end of the phone he was working in London at the time. I managed to get through to him in his office one day and he started laughing because he wanted to know how I had conned his secretary into putting the call through. Now, having heard what he says about his background and who and what has influenced him, it is appropriate to look at the athletes whom he himself has influenced. 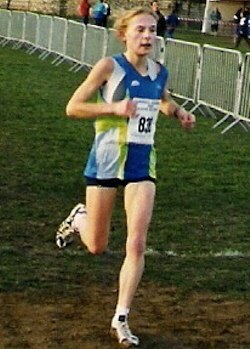 Shona Urquhart was the first athlete of Eric’s to be in a GB squad. Born in September 1963, she competed seriously from 1978 to 1990 inclusive. Educated at Kirkcaldy HS, she started out as an 800 metre runner but switched to the challenge of technical events and specialised in Javelin and Heptathlon with had personal career bests of 2:13.8 for 800m (age 16), 14.7s for 100m Hurdles, 62.5 400m Hurdles, 1.64m High Jump, 5.57m Long Jump, 12.57, shot putt, 52.58 Javelin and 5264 points for the Heptathlon. These were considerably good as marks but Shona was also a good competitor: she competed in two Commonwealth Games (1986 and 1990), won silver and bronze in the AAA’s (1988), won the SWAAA Heptathlon in 1981 and 1982 with third places in 1984 and 1986, won the SWAAA javelin in 1988 with seconds in 983 and 1989 and bronze in 1982 and 1984. That is a remarkable range of events over a fairly lengthy period and must have been a real crash course in learning about the technical events requiring reading, meeting other specialist coaches, and finding his way around the system. Lesser coaches might have retreated to the safety zone of specialising in one or two events but Eric got right on with it. We all learn from/with our athletes and he was right in there from the start. Another of his athletes was Katie Skorupska who was an out-and out distance runner, educated at St Leonards School in St Andrews and went on to represent Fife, Edinburgh Southern and Oxford University. She had a range on the track from 800m to 10,000m and won the SWAAA 5000m in 1998. Katie was an outstanding cross-country runner who won the Scottish women’s title in 1996/97 and running in the world cross-country championships before going to Oxford the following year where she represented the University and also the Achilles Club. Mary McClung is probably best known as an 800m runner although her range was from 100m to 3000 plus ranked runs at 400m hurdles, with pb’s of 54.6 for 400m, 2:02.92 for 800m and 4:25.13 for 1500m. Her career went from 1987 through to 2003 and she competed against the best in Scotland and England for most of that period. Mary studied at the University of Georgia from 1991, graduating in 1995, where she is still listed as their second fastest runner over 800m and seventh best over 1500m. And it goes on with Sara Whigham (4 SAAA firsts, 3 seconds and 5 thirds), Trudi Thomson (a wonderful record setting road and cross-country runner), Ewan Dyer (sprinter and 400m hurdler) and many more. It is evident that what Eric has picked up from Wullie, JB, Jim, John, Bruce and Bill has been put to good use to the benefit of the athletes, their clubs and to the sport. 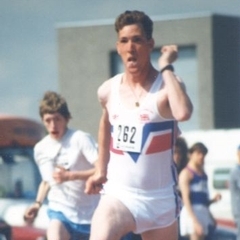 “Former Piershill Special School Head Teacher Eric Simpson succeeded at his first attempt where many coaches have spent a lifetime striving in vain when he steered Martyn Paterson (Clackmannan) to victory in the 142nd New Year Sprint at Musselburgh Racecourse on Saturday. “Fife athletics coach Eric Simpson could be on the verge of a unique treble – by training the New Year Sprint winner for the third year in a row when the 144th former Powderhall classic is decided at Musselburgh Racecourse tomorrow and New Year’s Day. Martyn Paterson (Central) two years ago and Graeme Lister (Pitreavie) last year were Simpson’s first winners and both were unexpected triumphs. Lister, in particular, produced unsuspected form to confound the few bookmakers left at this famous old professional 110 metres handicap. A former half miler, he sped to the line in 11.62 seconds to capture the £4000 first prize from a start of 12.5metres. His handicap has been cut by almost seven metres, making a repeat win seem unlikely. But Simpson expects last year’s winner to “give them a fright”. 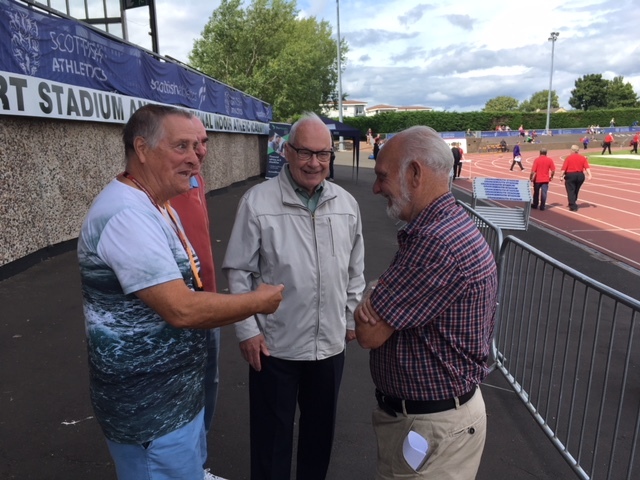 It was not to be however with victory going to Ben Robbins, of Edinburgh AC, but Eric and his athletes had shown that they knew how to prepare for specific events as well as for major championships. 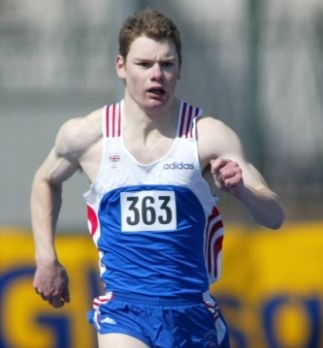 Stephen was not the only athlete with a disability that Eric worked with – Louise Brett from Perth Strathtay Harriers was looked after by Jim Hunter in Perth and Eric and competed in the CPISRA (Cerebral Palsy International Sports and Recreation Association) World Games in 2015. There are again many others. The point here is that Eric makes time for athletes of all categories and all levels of ability who are prepared to work at their sport. He always gives the best that he can and the many successes are there to be seen.